1. Automation Has Two Main Parts. Automation has two parts—the first is programmatic and the second is workflow. Know the difference. Programmatic is the ability to break a buy down to the impression level for decisioning and/or the application of advertiser or publisher data. This is commonly associated with real time bidding. Programmatic is intended to drive the effectiveness of advertising, so buyers and sellers see a better return on investment. Workflow is the replacement of manual processes (often phone, fax and email) with a more unified process often in an easy-to-use user interface. This can often involve the connection of currently disjointed or unconnected systems. Workflow is intended to drive the efficiency of advertising, so human capital can be deployed to higher impact activities. 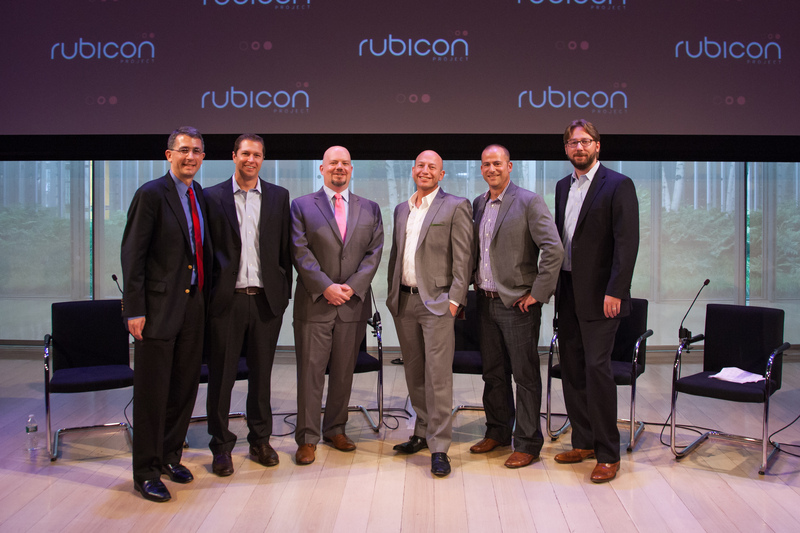 Some companies present solutions that focus only on programmatic or only on workflow. Others deliver solutions that encompass both. Make sure you know the difference. 2. Trading Desks Compete for Budget. Know where trading desks complete for budget today and how this is expected to change over time. Today, trading desks are competing for budget allocations against ad networks, in order to either pass savings onto their clients and/or capture some of the profit margin for their own holding companies. As trading desks push beyond performance and become more enmeshed in the planning function of their operating agencies, expect them to compete for share with larger portals and to bring automation to site buying activities. This is already beginning to happen. 3. Ad Holding Companies Are Going on a Diet Plan. Holding companies are working on slimming down the aggregate number of publishers they contract with over the course of a typical year—from two or three thousand to two or three hundred. The trading desk is becoming Jenny Craig—the weight loss coach for media buyers inside the operating agencies gorging themselves on 10 or 20 ad networks on a single plan, and on small value paper IOs being sprayed around like candy shooting out of piñata at a small child’s birthday party. One of the must haves for a publisher to stay on the list of winners?—the ability to deliver all inventory via direct order automation (programmatic plus buyer and seller workflow). Buyers are looking for this to include IAB Rising Stars units, rich media units and unique data assets, as well as, standard IAB units. 4. Media Planning and Buying is Being Organized in New Ways. While it varies for each holding company, there are new planning and buying structures being adopted from the “hub & spoke” model where planning happens at the operating agency and the media buying happens at the trading desk to the “embed” model, where the folks handing the automated buying sit alongside the planners inside the agency. Know which organizational model is being adopted by your agency so you can select the best partner. 5. Publisher CROs Need to Think Differently. The publisher CRO needs to be compensating their sellers for every dollar—regardless of channel. Make smart policy decisions about direct and indirect channels and then compensate sellers on all revenue. A bifurcated strategy where direct order automation and auction capabilities are considered non-core will only frustrate buyers, and a seller’s own staff. Automation can bring tremendous insight that will enhance both direct and indirect sales. 6. Upfronts Are Being Transformed by Automation . If they are not already, watch for your upfronts next year to include programmatic as an expected capability for direct orders. Buyers are looking for both programmatic and workflow against various content and data assets featured in your media kit and editorial calendar, including IAB Rising Stars units, rich media units, as well as, standard IAB units. Automation is transforming the buying and selling of advertising. Ad holding companies, operating agencies, agency trading desk and leading publishers are all being impacted by the march to automation. Programmatic solutions bring greater effectiveness to advertising and greater value creation to be shared between buyer and seller. Workflow solutions bring greater efficiency and allow people to avoid manual redundant tasks and spend time on work that is more fun and valuable. Embrace this undeniable march towards automation so it contributes to the success of both you and your company. Great read as always, Jay. I would love to hear your thoughts on how the demand for cross-channel optimization/messaging is playing a role in the “march for automation.” As you know, Demand Side platforms assign a universal ID to users regardless of the device or channel they’re coming through, making this possible. From what I’m seeing in the market, every RFP coming from agency teams and/or holding company trading desks is asking for cross-channel execution, however the overarching strategy and creative to do it effectively is lacking. On the sell side, I would think moving up-stream (as Doug Weaver would say), getting to the strategy and creative teams to ensure the holistic plan leverages all of the benefits of automation, will get us marching even faster. Cheers.